What had been a trickle of summer migrants in March now begins to be a flood. Most of them will stop only too briefly and indeed, if the weather is fine and the wind helpful, they will pass straight over us. It would however be unusual if the vigilant observer did not see redstart, pied and spotted flycatcher, blackcap, various warblers and maybe a yellow wagtail among other species. The Dartford warbler will be singing this month and towards the end of the month we see whitethroat and lesser whitethroat both of which breed on the course. 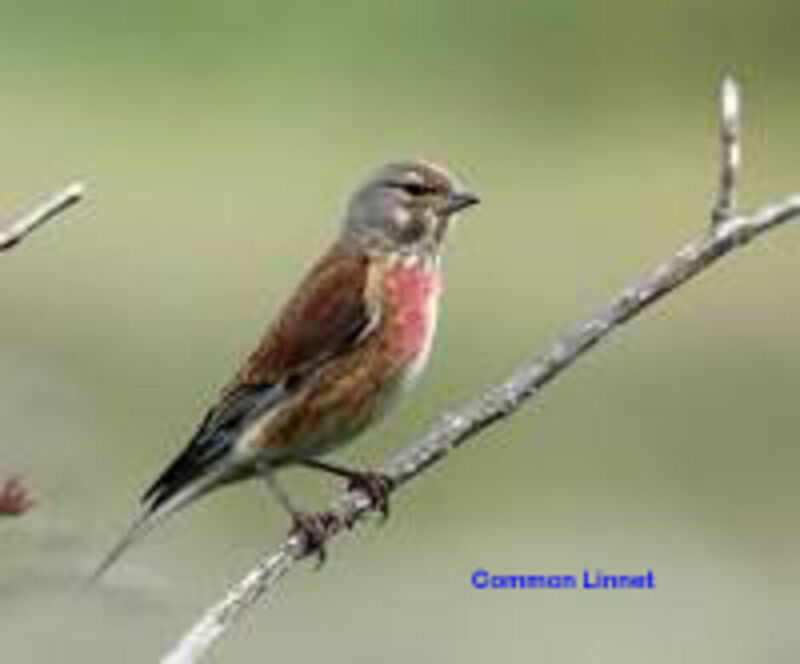 By now the linnets are much more abundant, the gorse and other vegetation is providing shelter for other common residents such as the blackbird, robin, wren and dunnock and the stonechats are at their nest sites. From April onwards the flowers become more and more evident adding colour to the course. 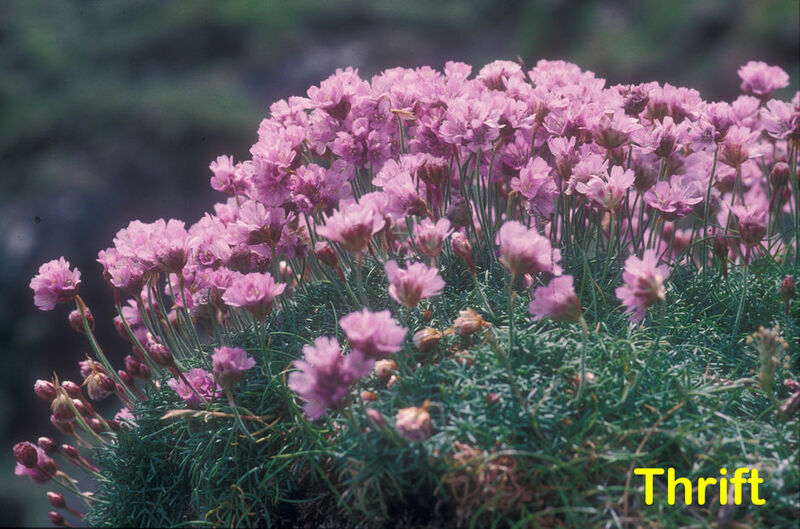 Thrift adds great carpets of pink to many parts of the course and its immediate surroundings. Yellow rattle adds its own colour and the benign Hayling Island climate often encourages other flowers to bloom earlier than they might elsewhere and so we see vipers bugloss, biting stonecrop and even the beginnings of English stonecrop. Common storksbill seems to be always present and occasionally there are still places where the rare little robin can be found.